Jagga Jasoos: Pritam embroiled in plagiarism controversy over song 'Galti Se Mistake'? Jagga Jasoos, the adventure comedy starring Ranbir Kapoor and Katrina Kaif has found its way into the headlines once again. This time, the matter at hand seems to be a plagiarism row involving none other than Pritam. The song 'Galti Se Mistake' was recently released by the Jagga Jasoos team. 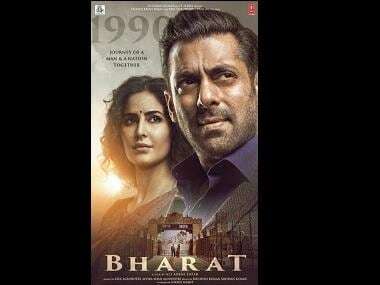 Sung by Arijit Singh and Amit Mishra, it is said to be inspired by Bihu folk music according to the makers of the song, The lyrics have been penned down by Amitabh Bhattacharya. Following the release of the song, a report published by Koimoi brought to the world's attention a A Mexican pop DJ trio that call themselves 3BallMTY and their song 'Inténtalo'. The report stated that if one is to hear 'Inténtalo' and 'Galti Se Mistake' one after the other, the similarities between the two songs would become glaringly apparent. After hearing the song, we agree that there is a disturbing musical resemblance between the two songs, however no official complaint has been filed by 3BallMTY for the same. The plagiarism claims that were made have been rubbished by the music producers of 'Galti Se Mistake' — Dj Phukan Sunny MR and Rohan Chauhan. According to a new report by Koimoi, the music producers released a statement in which they said, “‘Galti Se Mistake’ is basically an arrangement that is totally based on Assamese Bihu, with lots of ‘pepa‘ (an Assamese folk instrument), ‘Bihu dhols’, ‘Gagana’ and is based on Bihu folk melodies. The similarity which a few people feel in the song might be just because we have used some samples of a licensed Cumbia tribal library to make it a little contemporary and more enjoyable to the common listeners, especially the young crowd." The makers went on to call the people who are alleging plagiarism 'half knowledged, pseudo music critics' whose 'ignorance and overconfidence has resulted in unnecessary controversy'. They added that these people probably have 'no knowledge' of the rich folk music that hails from India. In the past, Pritam has been caught in the middle of controversies over many of his alleged 'original creations'. Some of the compositions that came under cross-firing for being copied were the songs 'Bulleya' from Ae Dil Hai Mushkil (inspired by international artist Papa Roach’s 'Last Resort'), 'Ya Ali' from the movie Gangster (inspired by Guitara’s Ya Ghali, a Kuwaiti band ) Bheegi Bheegi Si also from Gangster (inspired by the song 'Prithibita Naki Chhoto Hote Hote' by a Bengali rock band that calls themselves Moheener Ghoraguli), and Hare Rama Hare Krishna from the movie Bhool Bhulaiya (said to be inspired by Bill Haley’s 'Oriental Rock') amongst others. Jagga Jasoos is touted to be a children's film, and so far, with the first song, 'Ullu Ka Patha' followed by 'Galti Se Mistake', it's seems like it's all coming together. Ranbir Kapoor, who plays a schoolboy in Jagga Jasoos is collaborating with filmmaker Anurag Basu again after their successful pairing that was seen before in Barfi. There are also speculations that much like Shah Rukh Khan's cameo in Tubelight, Anurag Basu's Jagga Jasoos too will see a brief appearance by SRK. Jagga Jasoos is slated for release on 14 July, 2017. 1Jagga Jasoos: Pritam embroiled in plagiarism controversy over song 'Galti Se Mistake'?